The essential collection of Pride Mobility Lift Recliners is perfect for those who have difficulty bending or standing in and out of a seated position. 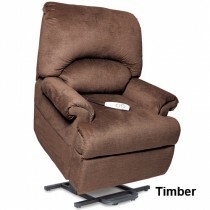 The wooden frame is engineered for strength and durability for a comfortable and smooth sitting-to-standing transition. 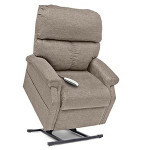 The position of tilt allows for easy positioning into the reclining position, as well. 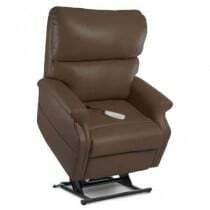 The quiet-smooth lift system allows those who need assistance to watch tv, read a book or relax comfortably knowing they can easily get in and out of their recliner. 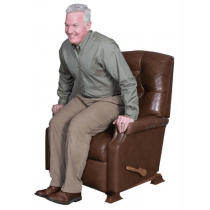 Because many people experience pain when bending at the hips the motion of sitting and standing can be troublesome. 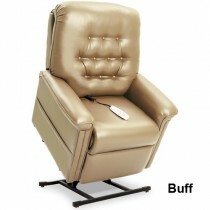 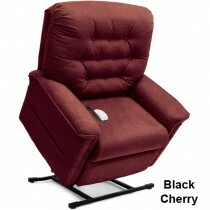 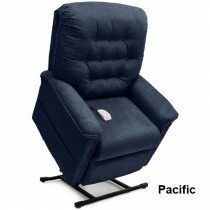 However, the lift assist recliner has many features that make this action less painful and comfortable. 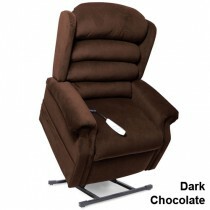 Each product comes with its own unique positioning for your convenience, so you can choose which recliner best fits your needs. 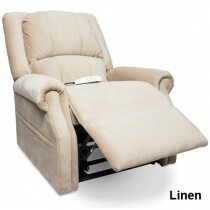 Many models also come with the option of added accessories, such as heat & massage or incontinence pads. 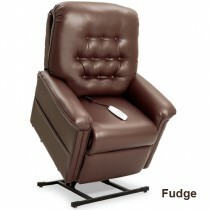 2-Position - Available on all Pride Power Lift Recliners. 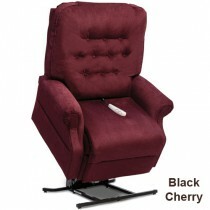 Perfect for watching TV or conversation with family and friends. 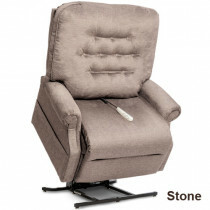 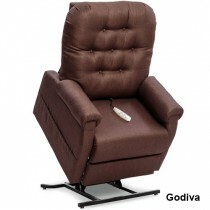 3-Position - Includes full recline position and is available on most models. 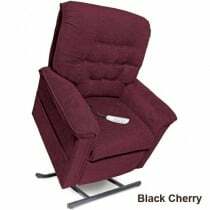 Infinite-Position - The backrest and footrest move independently, so you can position your recliner to fit what is most comfortable for you. 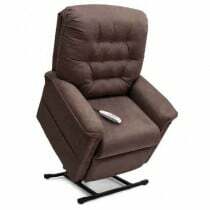 This is an excellent feature for taking naps. 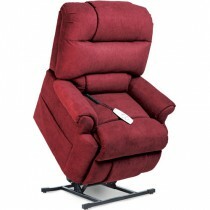 Trendelenburg - Elevates one's feet higher than the heart for increased comfort and relaxation. 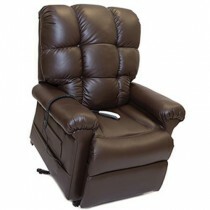 Zero Gravity - Available on infinite-position models, positions one's thighs and lower legs higher than his or her torso.